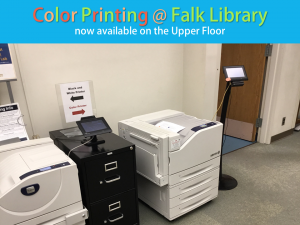 By popular demand, a color printer is now available to Pitt students and faculty at Falk Library. For the first time, color-printing access with your Pitt quota is available outside of the CSSD labs. You can find the new color printer on the library’s upper floor, across from the Technology Help Desk. Opioid overdoses have increased dramatically in recent years. Millions of people in the United States suffer from substance use disorders. The National Library of Medicine (NLM) and the National Network of Libraries of Medicine (NNLM) have responded with increased online health information resources and training. MedlinePlus: the premier patient education resource of the National Institutes of Health. MedlinePlus has over 1,000 health topics in English and Spanish, including Opioid Abuse and Addiction, Opioid Abuse and Addiction Treatment, Pregnancy and Opioids, and Safe Opioid Use. Drug Information Portal: a one-stop portal of the NLM and other governmental information about over 78,000 prescription, non-prescription, and controlled substances. The listing for Fentanyl includes patient education resources, summaries on liver toxicity and the effect of the drug on breastfeeding mothers and babies, chemical structures, and preformulated searches of PubMed and TOXNET. NCBI Bookshelf: free full-text books and practice guidelines. 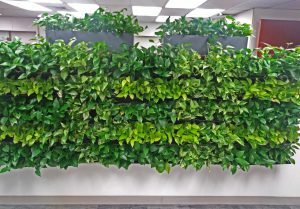 Opiate Addiction and Treatment (Enviro-Health Links): resource guide of NLM and other trusted sources. Topics include: medications to treat opioid addiction, opioid prescribing, and data and statistics. Preformulated searches for PubMed and other NLM resources are included. Photoshop First Look, Thursday, October 4, 9:30-11 a.m. Painless PubMed*, Wednesday, October 10, 11:30 a.m.-12:30 p.m.
Getting Systematic About Systematic Reviews, Monday, October 15, 10-11 a.m. 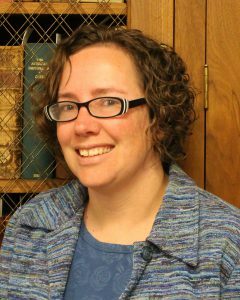 Basic Python through Jupyter, Tuesday, October 16, 1-4 p.m.
EndNote Basics, Thursday, October 18, 10 a.m.-12 p.m.
Introduction to the Pitt Data Catalog, Monday, October 22, 2-3 p.m. Painless PubMed*, Tuesday, October 23, 8-9 a.m. Trim Down Your Search: Focusing PubMed, Wednesday, October 24, 11:30 a.m.-12:30 p.m.
Wiki-PI & LENS: Web Applications Studying Genes to Functions, Pathways, & Drugs, Thursday, October 25, 2-4 p.m.
Searching for Dollars: Grant Seeking to Support Research, Thursday, October 25, 4-5 p.m.
Advanced PowerPoint for Presentations, Monday, October 29, 1-2:30 p.m.
Crafting a Data Management Plan, Wednesday, October 31, 11 a.m.-12 p.m.
RNA-Seq & CLC Genomics, Wednesday, October 3, 1-4 p.m.
RNA-Seq & Galaxy, Wednesday, October 10, 1-4 p.m.
ChIP-Seq & CLC Genomics, Wednesday, October 24, 1-4 p.m.